Janis Rose, a Computer Science instructor at the University of Illinois Springfield, has been selected by the InfraGard National Members Alliance (INMA) as this year’s recipient of The Ties that Bind Award. The award was presented by FBI Supervisory Special Agent Larry Karl and Assistant Special Agent in Charge Emmerson Buie during a nationwide video teleconference on September 4, 2013. It is one of only three major awards presented annually by the INMA and recognizes those that have spearheaded or substantially contributed to ongoing sharing and collaboration among InfraGard members and partners. InfraGard is an information sharing and analysis effort between the FBI, academic institutions, businesses, and other partners. Rose founded the Springfield InfraGard Members Alliance (IMA) over ten years ago and is one of the longest serving presidents in the history of the program. “Janis’ efforts have been integral to the success of the Springfield IMA. She is responsible for personally recruiting a large portion of our members, creating the excellent communication network we have in place today,” said her nominator. Rose has played a major role in organizing the annual Cyber Defense and Disaster Recovery Conference on the UIS campus. The one-day conference teaches those in the public and private sectors about growing cyber threats facing critical infrastructure sectors. “Janis takes great care to hand-select our speakers each year, so that each key critical infrastructure sector can expect to walk away at the end of the day having learned vital information specifically pertaining to their sector,” said the nominator. In 2012, Rose was honored by FBI Director Robert Mueller with an “Award for Exceptional Service in the Public Interest”. 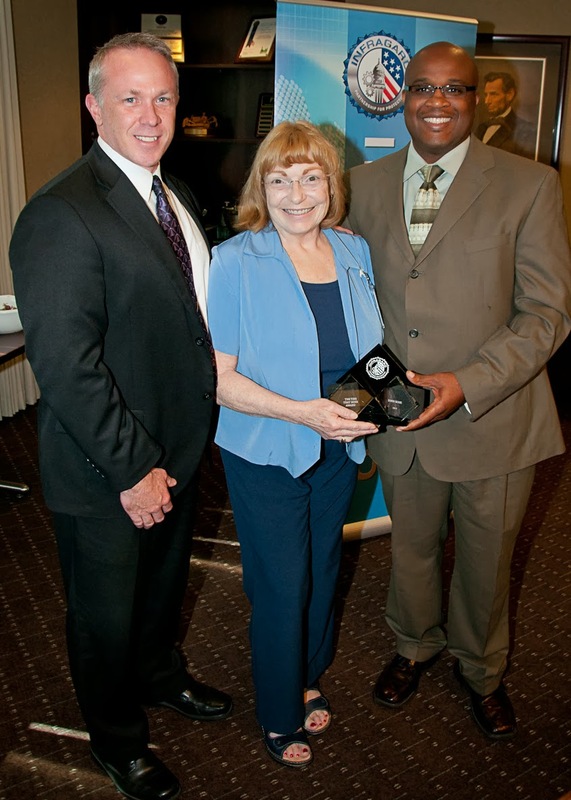 The award recognized her 10 years of service to InfraGard and the FBI. For more information, contact Ted Mims, chair of the UIS Computer Science Department at 217/206-7326 or tmims1@uis.edu.